Physical Placement. The court will determine where and with whom the child actually resides if the parents have not made agreements on their own. Legal Custody. The court will determine if one parent or both parents are capable of making major decisions for the child (such as where the child will go to school, what religion the child will practice, etc.). Child Support. The court will determine what, if any, financial support will be paid by one parent to the other to help support the child. There is a statutory formula which is used to calculate child support using the parents’ gross incomes and the number of overnights the child spends with each parent. You should bring proof of your income to this hearing. Child’s Last Name. The court can order that the child’s last name be hyphenated to include both parents last names if both parents wish for the child to have their last names. Tax Exemption. The court can authorize who has the right to claim the child tax exemption for a certain tax year so both parent’s do not claim the child tax exemption. Medical expenses/Insurance. The court is required to allocate the responsibility to provide health insurance to one of the parents pursuant to certain statutory requirements. If neither party meets those statutory requirements, there will be discussions regarding alternate sources of insurance. Also, the court can, and usually will, order responsibility for uninsured medical expenses, including those related to the birth of the child. Please be aware that if the court has not made a determination of who the legal father is, the first hearing may not include any or all of the above issues as there may be additional steps necessary, such as genetic testing, that have to happen before the court can determine who the father is. The court typically will not make orders on the above-listed issues until there is a legal determination of who the father of the child is. Additionally, if the State of Wisconsin brings the action, or is part of the action, the hearing may involve more issues, such as a repayment for birthing expenses. If your case is in one of our practice areas, please visit our website at www.nkmfamilylaw.com or contact us at 414-258-1644 to schedule a free initial consultation. How Do You Modify Custody or Placement in Your Divorce or Paternity Judgment? Often times the circumstances surrounding the agreements made at the time of your divorce do not remain the same indefinitely. This is especially the case when children are involved. 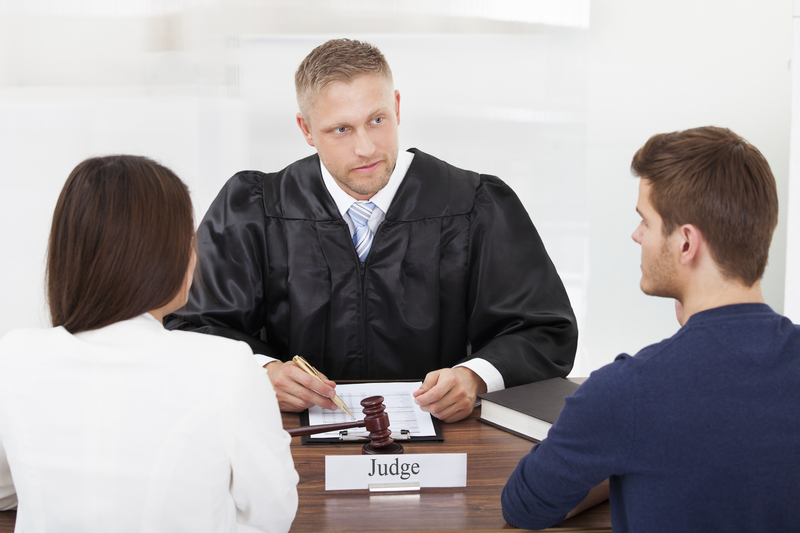 There are specific time limits that must be followed in order to modify your Divorce or Paternity Judgment accurately. A final judgment may be modified for different reasons at different times. A “final judgment,” for the purposes of requesting a modification, in a divorce proceeding includes the Findings of Fact, Conclusions of Law and Judgment of Divorce and a Marital Settlement Agreement. For a paternity case, it includes the Findings of Fact, Conclusions of Law and Judgment of Paternity. If you want to modify custody (decision-making rights) and physical placement for your child and it is within two years of the final judgment on your paternity or divorce case, you will need to file a Motion to Modify with the court, and it is your burden to show by substantial evidence that the current custody and physical placement is harmful to the physically or emotionally harmful to the best interest of the child. After two years has passed from the final judgment, you can file a Motion to Modify with the court if there has been a substantial change of circumstances since the entry of the last order affecting legal custody or the last order substantially affecting physical placement , and modifying the current order is in the best interest of the child. A “substantial change of circumstance” can include, but is not limited to: a considerable change in either spouse’s income or employment status, a new health problem which impacts the ability to work, moving to a new location, and substance abuse problems or criminal activity. If your final judgment is no longer current and new circumstances warrant a modification, please contact Nelson, Krueger and Millenbach, LLC, to discuss your case with an experienced family law attorney. I was recently asked if an adult child could go back after their father for child support even though they are now an adult. Their mother never wanted to but she had died and the adult child (who was 45) wanted to try to make their father pay child support for all of those years. I also had a similar question from a 23 year old who just found out who her biological father was and wanted to know if he could be adjudicated as her father. Both of these adult children wanted to know if they could collect past child support. In Wisconsin, the law is clear that a paternity action must be commenced prior to a child’s 19th birthday. Child support typically commences from the date of service of a valid legal paternity action or an adjudication of paternity. Also in Wisconsin, the court cannot order retroactive child support, whether in a paternity or divorce case. The soonest the court can order or modify child support is from the date of service of a valid action or a motion. In other words, under the scenarios above, neither of those adult children could obtain the relief they wanted to under the laws of the State of Wisconsin nor could their father be ordered to pay past support. If, on the other hand, there had been an order for child support entered while the child was a minor that had never been paid by responsible parent, that order can be enforced and the past due support collected for up to 20 years after the termination date of the child support order. In addition, in the aforementioned situation, the person looking to collect past child support can also convert an arrears (past-due child support) order to a money judgment after the date the child reaches the age of majority to give him or her more options for collecting. In Wisconsin, there is a presumption of paternity based on the fact that the parties are married. Even if the parties have been separated for months, or even years, Wisconsin law presumes that any child “of the marriage” is the child of both parties. The marital presumption can be overcome by results of genetic testing that show that a man, other than the husband, has a 99% probability of being the father. In marriages where there is a dispute of this nature, the court will almost always appoint a Guardian ad Litem to investigate the matter. Guardian ad Litem’s are appointed on cases where there is a placement or custody dispute, and their job on the case is to represent the best interests of the child. The Guardian ad Litem will typically recommend that the court order genetic testing at the first appearance for the mother, the child, and the husband to find out if the child is related to the husband. This is ordered immediately, because the parties must present an Order for Genetic Testing to the Child Services Agency to do genetic testing through the court. If the genetic testing proves that the child is not the husband’s, the Guardian ad Litem typically advises the mother begin a paternity action against the biological father, so that the child has a legal father in his or her life. A court will not typically overcome the marital presumption unless there is an adjudication of a legal father. Please note, if the couple is LEGALLY separated (meaning the couple has been granted a legal separation by the court), then there is no presumption that the husband is the father. If you are concerned about the paternity of your child and are subject to the marital presumption in Wisconsin, it is in your best interest to seek legal counsel to resolve this issue as soon as possible. In Wisconsin, if a child is born during a marriage, the husband is presumed to be the father. But what happens in situations where, for example, the parties have been separated for several months while your divorce is pending, and the wife becomes pregnant with someone else’s child. Can the presumption be overcome? The answer is: not automatically. If your divorce has not been finalized, the child is considered “born to the marriage,” and is presumed to be the husband’s. This is why the wife is asked during divorce proceedings, “are you currently pregnant?” If she is, the court will usually not grant the divorce. The idea behind this is that the child is entitled to a legal father who shall be responsible (financially, if not otherwise) for the child. Therefore, the court is highly reluctant to make a ruling that would leave the child without a legal father. Husbands who are the legal fathers have notoriously found this presumption to be unfair, with the argument being that the presumption takes away the father’s due process rights. The Supreme Court of the United States addressed this argument over 20 years ago and found that the presumption that the mother’s husband is the child’s father does not, in fact, violate a father’s due process rights. The presumption may be overcome, however, if another man who is biological father, even though not yet the legal father takes a genetic test, and the results show a statistical probability of that man’s parentage as 99.0% or higher. If this turns out to be the case, the court will likely order the wife to commence a paternity action against the biological father. Once paternity is established, the presumption against the husband can be overcome and the divorce can be granted. Therefore, in situations where a child is born of the marriage but is not the husband’s biological child, it is wise for the wife, or her attorney, to commence a paternity action against the biological father immediately. In the alternative, if the wife is arguing that the child is, in fact, the husband’s child biologically, the husband or his attorney can ask the court to order genetic testing, if the husband has a doubt. Please note, in most cases where paternity of the child is at issue in a marriage, the court appoints a Guardian ad Litem for the best interests of the minor child. The Guardian ad Litem will make recommendations for the best interests of the child, such as requiring the husband and alleged biological father to undergo genetic testing that will work towards figuring out who the biological father of the child is, and who will be found to be the legal father of the child. How is Paternity of a Child Established in Wisconsin? A paternity case is when the parents of a child were never married. The purpose of a paternity case is to establish parental rights over a child and to set custody, placement and child support orders. What rights does an alleged father have during the pregnancy of the mother? Until paternity can be established either by a DNA test or an acknowledgment of paternity, an alleged father has no rights to the child. What does “adjudication” mean and how does an alleged father become adjudicated? Adjudication is the formal recognition of an alleged father as the legal father of a child born to unmarried parents. Prior to an adjudication, an alleged father has no rights to a child. If one or both of the parties are unsure of the paternity of the child, then a DNA test should be conducted to confirm or exclude the alleged father as the legal father of the child. How does an alleged father obtain placement and custody rights to a child? Once a man is adjudicated as the legal father of a child, the Court will order “terms” relating to the custody, placement and support of the child. Simply being adjudicated does not give a father any rights to custody or placement, nor does adjudication mandate the payment of child support. The process of establishing custody, placement and support can be resolved by the agreement of the parties or a paternity action having been filed with the Court. A judgment of paternity must be entered and approved by the court before a father has enforceable rights for custody and placement. What factors will the court consider when ordering custody? There is a presumption in Wisconsin statutes that parties should share joint legal custody of a child. Legal Custody is the right to make legal decisions regarding a child. The Court may order sole legal custody to one parent in cases of domestic abuse or if the Court determines that joint legal custody is not in a child’s best interest. What factors will the court consider in determining placement? There are a number of factors that the Court will consider when determining placement. The age of the child, distance the parents live from each other, work schedules, parents’ ability to communicate, and best interest of the child are only some examples of what the Court will consider when determining placement. A Court will not automatically award primary placement to the mother simply because she is the mother. The statute requires that the Court maximize the amount of meaningful time each parent has with the child. This provision does not necessarily, however, require that the court order equal time. Please see our Custody and Placement FAQ’s for additional information. What if I disagree with the placement schedule ordered by the court? At the first hearing, if the parents cannot agree on a placement schedule, they will be ordered to participate in mediation. If mediation is unsuccessful, either a custody study and/or a guardian ad litem will be appointed. The Guardian ad Litem will complete an investigation and make a recommendation to the Court as to what he/she believes to be in the best interest of the child. Will child support be ordered? Yes. Once a father is adjudicated, the obligation to support the child will be addressed by the court. Please see our Blog Post on Child Support or visit us at our website by clicking here.